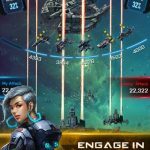 In Galaxy Online 3 you play the role of a Commander of the Galactic Federation – in other words, this means you’ll be in charge of a planet that’s just been colonized, build your outpost while you’re there, and defend it from outlaws. 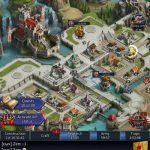 You can also compete with other Commanders to become part of the Federation’s High Council in this massively multiplayer online real-time strategy (MMORTS) game for Android and iOS devices. Pretty much, you’ll be building your base and building it up from practically nothing to more than just something. 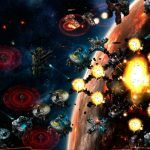 And we have a collection of Galaxy Online 3 cheats, tips and tricks that can help you do just that. When playing an MMORTS, or any type of MMO game, you’ll likely be focusing most on the social aspects of the game. But aside from beating other human players and gathering resources, there are other things you should be focused on. These include some of the “little things” that otherwise go hardly noticed, such as building up a formidable armada of ships, working on research, and making sure the maintenance over at your base isn’t ignored. If you find yourself asking where you’re going to go from a certain point, the answer is simple – go to the Quests screen so you can “find” yourself again. The quests guide you through the natural progression in the game, and for each one you accomplish, you’ll earn some sweet rewards. You can also save up your rewards for some other time if you’ve got ample resources for your present needs. 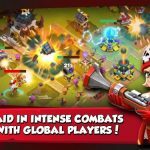 Galaxy Online 3 has its share of aspects that would appeal to those who are more used to playing single-player strategy games or city builders, and that includes the challenge missions. Go to the medal store, which can be accessed through the challenge mission menu (look for the button in the lower right), and you can play these single-player missions and earn yourself somemedals. It’s important to pay regular visits to the Fleet screen so you can do the maintenance we were referring to above – that’s reorganizing your fleet and updating it each time your captains level up, or each time you unlock a new ship. We suggest going for the maximum number of ships in your yard, or at the very least ensuring you’ve got more than enough of them. After that, head to the Fleet screen and assign the maximum ships to each of your captains. You always have to be sure that the ships that you’re using in battle have a natural advantage over rival ships. One good example would be fielding battleships against the enemy’s cruisers. As such, you’ll need to have fleets corresponding to each type, so you can be ready for battle regardless of the ships you’ll be up against.